Freddy Galvis went 2-for-5 at the plate with a home run and two RBI on Sunday against the Rays. 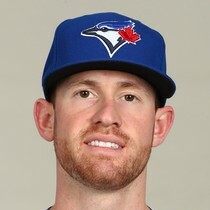 Mon, Apr 15th Billy McKinney went 0-for-4 at the plate and struck out twice as the Blue Jays lost to the Rays by an 11-7 score. Freddy Galvis went 4-for-4 at the plate with a solo home run and two runs scored Thursday as the Blue Jays lost against the Red Sox by a 7-6 score. Fri, Apr 12th Billy McKinney went 1-for-3 at the plate with a double and a run scored in Sunday's loss to the Indians. Freddy Galvis went 1-for-4 at the plate with a double in Sunday's loss to the Indians. Sun, Apr 7th Billy McKinney went 0-for-2 at the plate before being lifted for a pinch hitter as the Blue Jays lost to the Indians on Friday by a 3-2 score. Freddy Galvis went 1-for-3 at the plate with a two-run home run in Friday's 3-2 loss to Cleveland. Sat, Apr 6th Billy McKinney went 1-for-3 and drove in a run on Saturday, helping to lead the Blue Jays past the Tigers. McKinney opened the scoring in the ballgame with a run-scoring single off of Spencer Turnbull in the fifth inning. 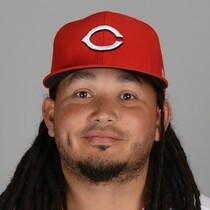 Freddy Galvis went 1-for-3 at the plate with his first homer of the season which was a solo shot in his return to action Monday against the Orioles. Tue, Apr 2nd Billy McKinney went 2-for-4 with a two-run home run in Friday's spring game against Pittsburgh. McKinney belted a two-run blast in the fifth inning to put the Blue Jays up 10-0.